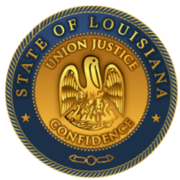 In late 2007, a formal request from the District Attorney’s Office for the 26th Judicial District (Bossier and Webster Parishes) along with community collaborators was made to the Louisiana Commission on Law Enforcement (LCLE) to establish a Family Justice Center that would provide centralized services to victims of Domestic Violence in Northwest Louisiana. Through the donation of office space from Willis Knighton Health Systems and continuing workshops, meetings, community partnerships and strategic planning workshops the ideas began to form the reality. With further assistance from the National Family Justice Center in San Diego, CA, the Ouachita Family Justice Center in Monroe, LA and the New Orleans Family Justice Center, the structure of the center became a promising future. Through the Victims of Crime Act (VOCA Grant) funding became finalized and available in early 2016 to open the doors. The Northwest Louisiana Family Justice Center (NWLFJC) is a collaboration among public and private agencies in Caddo, Bossier/Webster, Bienville, Claiborne, DeSoto, Jackson, Sabine and Red River Parishes to provide support services and resources for victims of Domestic Violence, Sexual Assault and Exploitation. The Center wants to offer these services especially to those who continue to be victims without the necessary resources to put their lives back together. The 39th JDC District Attorney’s Office in Red River Parish will coordinate with NWLAFJC to provide the aforementioned services to citizens of Red River Parish. Individuals seeking assistance at the NWLFJC may choose to use any or all of these services (subject to availability). ALL SERVICES ARE FREE AND CONFIDENTAL.